You’re invited to our next monthly luncheon and CLE seminar about IP Theft and Fraud: The National Intellectual Property Rights Coordination Center! 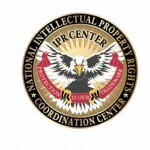 The National Intellectual Property Rights Coordination Center started in 1999 with two agencies: US Customs and FBI. Today the IPR Center is a collaborative effort of 21 federal and international agencies that focus on Intellectual Property theft and fraud. As a task force, the IPR Center uses the expertise of its member agencies to share information, develop initiatives, coordinate enforcement actions, and conduct investigations related to IP theft. Through this strategic interagency partnership, the IPR Center protects the public’s health and safety, the U.S. economy, and the nation’s war fighters. Please note the time change of our monthly events: The Presentation will begin promptly at 12:00 pm!